The 8th annual National Rain Barrel Program, managed by The River Network (Boulder, Colo.) and supported by Coca-Cola, is well underway. Through June 2017, the Rain Barrel Program will provide free supplies and guidance to allow River Network member groups from around the U.S. to bring the benefits of stormwater conservation into their communities. Rain barrels are among the most versatile, easily-constructed forms of green infrastructure available. They tend to be small enough to allow placement under most gutter downspouts, and can be made from simple materials accessible from any hardware store. Providing avenues for stormwater reuse while easing burdens on local storm drains and streams, rain barrels are a cost-effective way to improve the sustainability and beauty of your neighborhood. 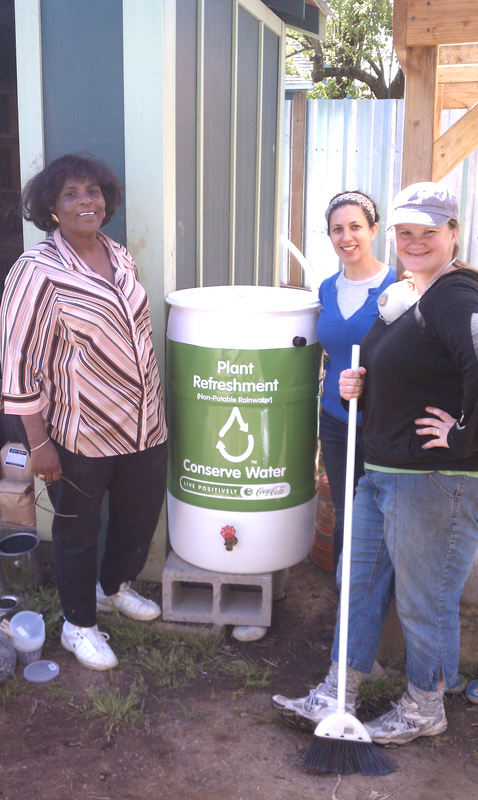 River Network member groups can host their own rain barrel construction events. If the event is approved, administrators will be eligible to receive up to 20 free RainRecycle Do-It-Yourself Rain Barrel Kits from the River Network and free 208-L (55-gal) syrup drums from local Coca-Cola production centers that can be repurposed easily into rain barrels. 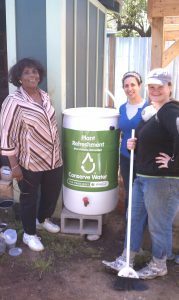 Groups that plan to engage under-served or low-income communities may be able to receive up to 20 additional rain barrel kits. Since 2008, Coca-Cola has donated more than 84,000 syrup drums for use in the program. Events planned thus far span a wide variety of venues, from city halls, museums, and university campuses to breweries, churches, and even private residences. Interested individuals should check for rain barrel construction events planned nearby, and follow the River Network on Facebook for forthcoming announcements. Please contact the River Network’s community engagement team with any questions. How can I get a free rain barrel for my school and our sustainable garden?